With this product you can accumulate up to 45 Glitter Points. Reduces wrinkles and shapes facial contours. 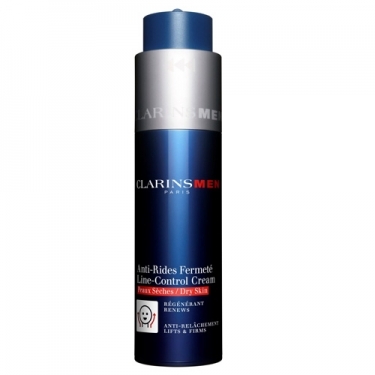 Clarinsmen Anti-Rides Fermete P. Seches (Line Control Cream Dry Skin) is moisturizing gel cream dor dry skin. Contains paracress a powerful medicinal herbal combined with the invigorating properties of caffeine to reduce fat deposits and firm body contours. Gently massage to face and neck in the morning, after your shaving routine. Can also be used at night to tired-looking skin.